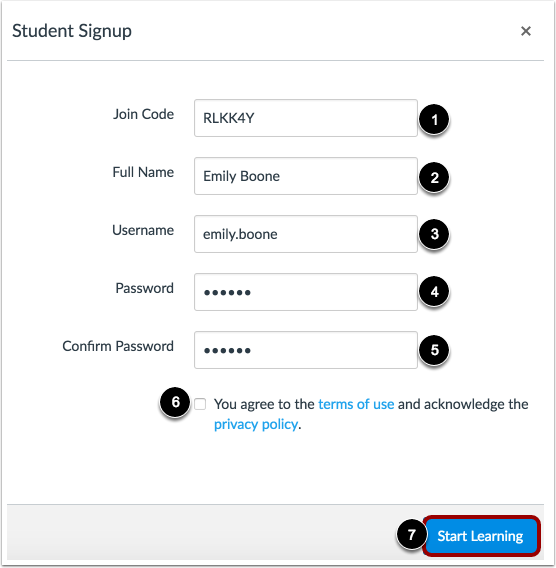 If you do not already have a Canvas account, you need to create an account before you can log in to Canvas. 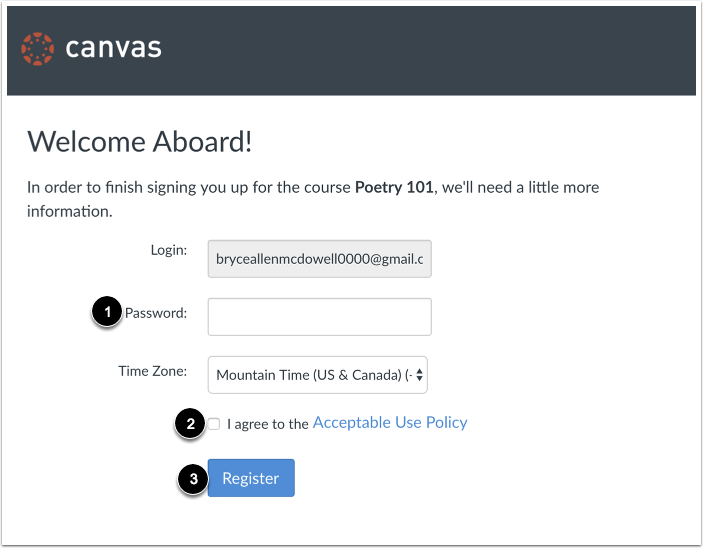 If you are using Canvas through your institution, you will most likely already have an account and need to accept a course invitation. Your institution will email your login information. If you do not yet have an account, you can create an account when you accept the course invitation. 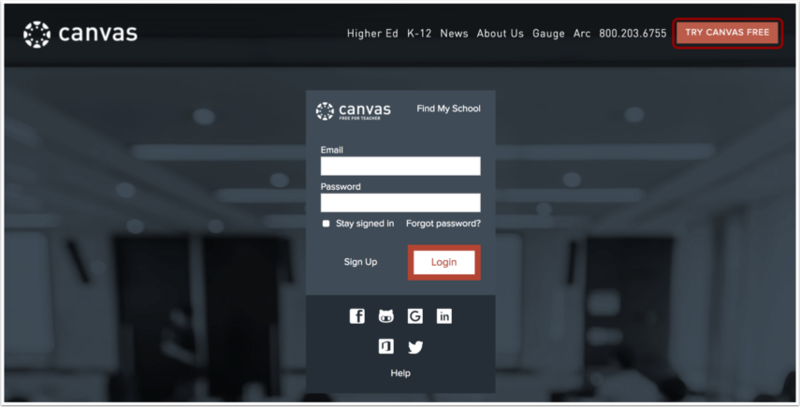 If you are not using Canvas through your institution, you can create your own account. Your instructor will provide you with a join code to link you directly to the course. This code will be sent to you separately from the Canvas email that invites you to join the course. If you need to create an account in Canvas but have not received your join code via email, please contact your instructor or institution for help with logging in. Note: Once you create an account, you can request to delete your account at any time. Deleting your Canvas account cannot be undone and will delete all Canvas information including courses, assignments, grades, and participation. Do not request to have your account deleted unless you are certain you absolutely no longer require any access to your prior Canvas activity. To request to have your account deleted, open the Help menu and submit a ticket to Canvas support through the Report a Problem link. 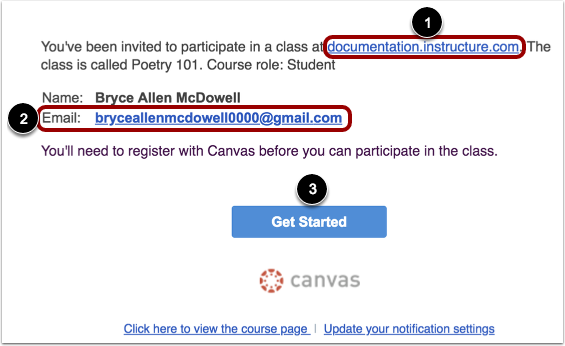 If you've enrolled in or been invited to a Canvas course, you will receive an email that contains your institution's Canvas URL  and your email address to use for your login . To accept the course invitation, click the Get Started button . Note: If you already have a Canvas account, click the I Have a Canvas Account button. You'll be directed to the Canvas login page. If you don't yet have an account, you can set one up for yourself without an email link. To create your account, open a browser and type canvas.instructure.com into your browser. Note: You must have a join code from your instructor or institution to create your account. Enter the course join code in the Join Code field. This code will be emailed to you by your instructor or institution—the email is separate from your email invitation to join the course. Set your password by typing in the Password field. Confirm your password by typing your password in the Confirm Password field. 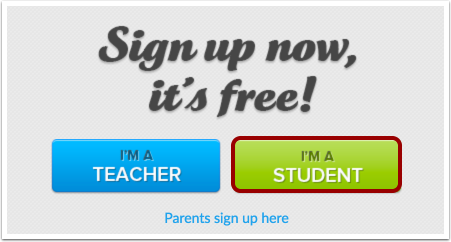 Click the Start Learning button. Previous Topic:How can I use Canvas on my mobile device as a student? Next Topic:How do I view Announcements as a student? Table of Contents > Introduction > How do I sign up for a Canvas account as a student? Re: How do I set up/reset a student's password? Re: WHere do I add my school?